In co-operation with the Goethe-Institut Almaty (Eva Schmitt and Aliya Bissenova), the Union of Kazakh Artisans (Aizhan Bekkoulova), the Cultural Dialogue Program, (Janna Mambetova) and Serik Rysbekov (jewellery artist/workshop) I conducted an advanced training on contemporary design for jewellers in Kazakhstan. This was my third visit to Kazakhstan to work with jewellers on their competence in contemporary design in order to broaden their skills and reach new markets in Kazakhstan and abroad. Every artist has his or her cultural identity which is the basis for individual creativity. 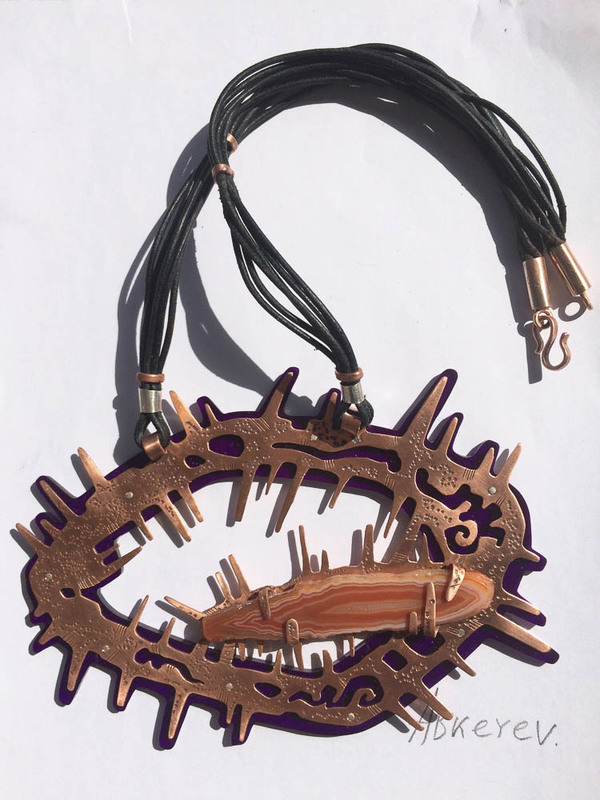 Getting in touch with other concepts of jewellery is an exciting and challenging process, and opens new possibilities to fuse traditional and contemporary jewellery design, without losing local cultural heritage. 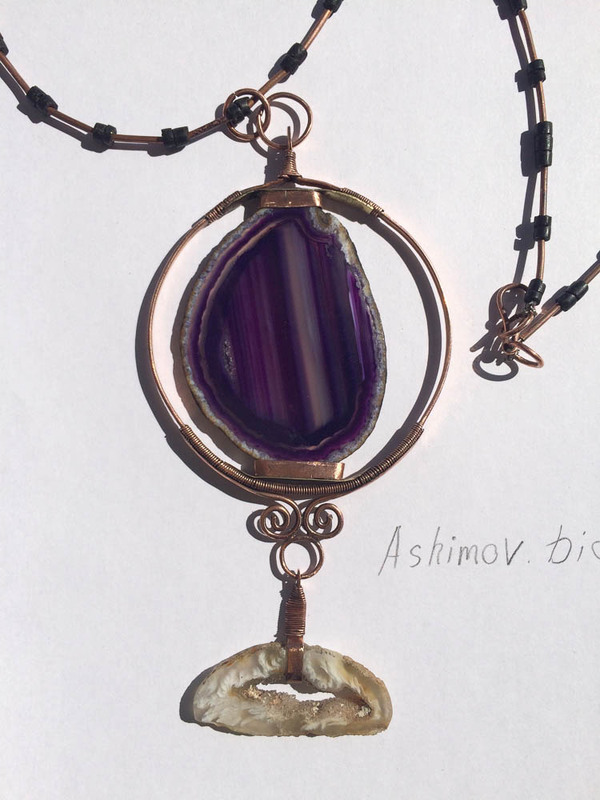 The training started with a lecture at the Museum of Almat and was accompanied by an exciting exhibition of modern crafts from Kazakhstan and examples of my jewellery. The lecture “Out of the Box – on the Way to Contemporary Jewellery” with a power-point presentation of various international artists and my own work as a jeweller was open for all Kazakh artists and very well attended. After the lecture, the exhibition was opened to the public by the vice director of the Museum of Almaty, Mr Kairat Tarbayev. Jewellery has always been a medium for cultural identity, and in this respect, it has been perfectly understood by the people making and wearing it. 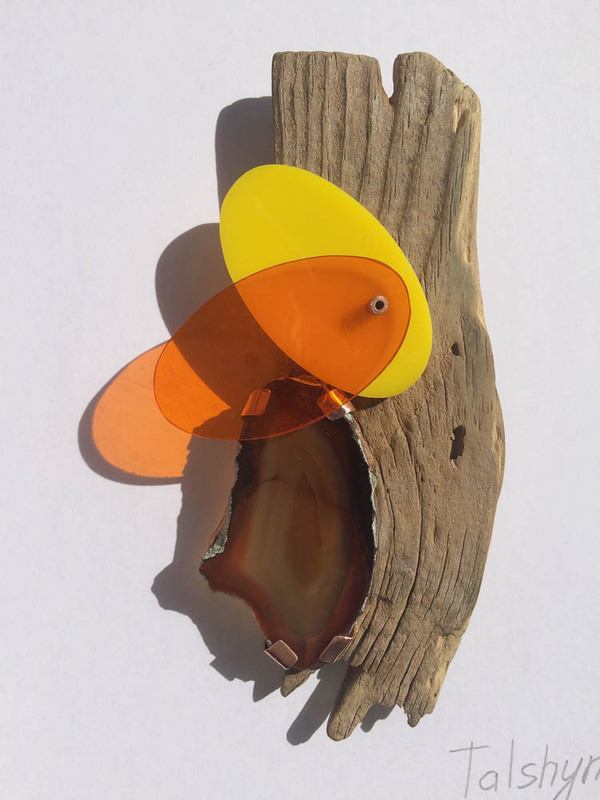 Contemporary jewellery transcends this local heritage by creating a more global understanding. 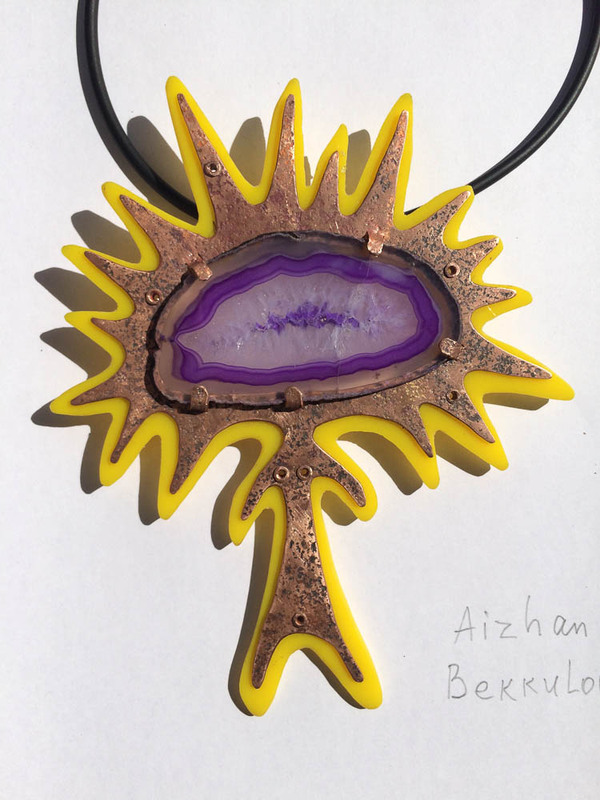 A four-day master class with twelve participants took place at the workshop of Serik Rysbekov, a famous Kazakh jewellery artist, who kindly offered his space, his tools and assistance during the workshop. The workshop “Tradition and Beyond – Contemporary Cross-Over Jewellery” focused on artistic concepts and techniques as a free creative process, including new and colourful materials such as acrylic glass and artificially coloured agate stones in combination with copper, brass, silver and/or wood. It was a creative and technical challenge to all participants to leave well-known grounds and create new compositions and combinations of materials within a relatively short time. For some jewellers sketching was a helpful tool for trying out new ideas, others worked directly with the materials in a playful way. 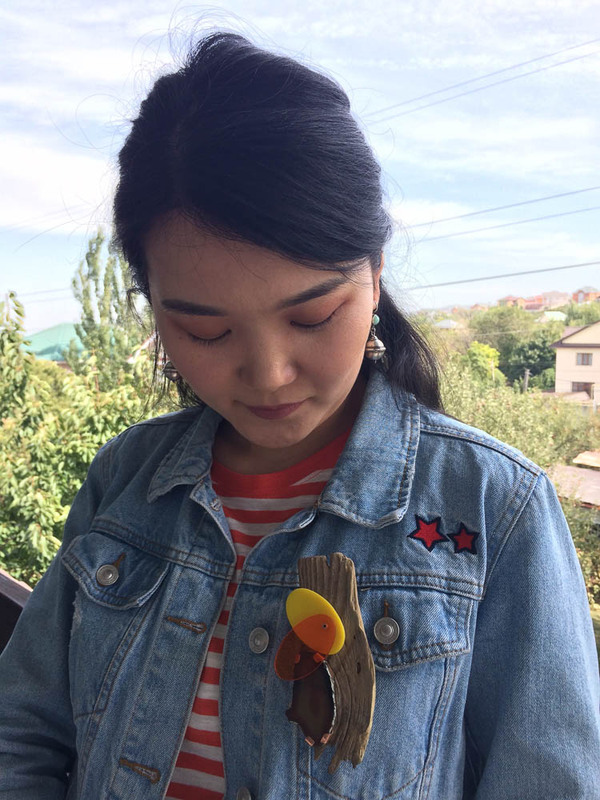 Their technical and creative skills as master jewellery makers enabled all participants to create exciting contemporary jewellery with a touch of Kazakh cultural heritage.The hospitality and generosity of all the Kazakh people whom I met during my stay was a moving experience for me. Special thanks go to Serik Rysbekov (Workshop space), Aizhan Bekhoulova (Union of Kazakh Artisans), Janna Mambetova (Cultural Dialogue), Aliya Bissenova and Eva Schmitt (Goethe Institut Almaty).